Added by Indo American News on September 11, 2015. 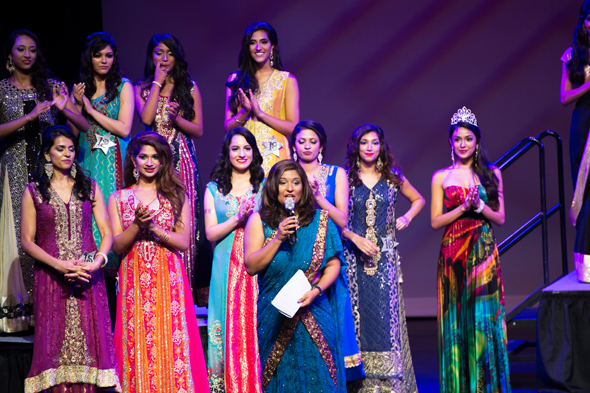 STAFFORD: Bollywood Shake hosted its 3rd Annual Bollywood Pageant USA 2015 on Sept 6, at Stafford Performing Arts Theatre, Stafford TX. Ruchika Dias, Founder & CEO of Bollywood Shake and Pageant Director along with her organizing team (Amit Godbole, Gauri Malhotra and Nina Desai) put together a spectacular show! Raza Hasan, Bollywood Shake’s Creative Director, did an outstanding job with the fashion show choreography. Arif Memon of DMMS Productions directed the show and lighting. 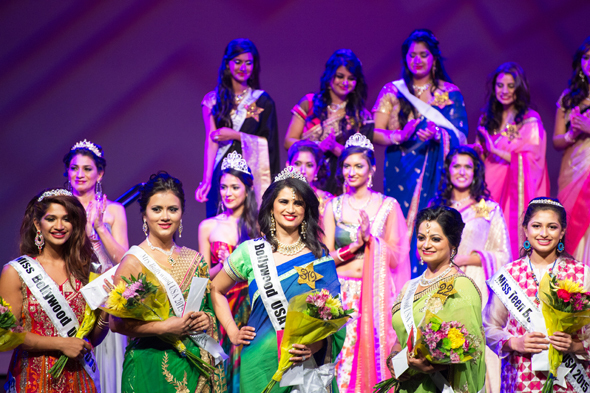 This year’s show included the Teen, Miss and Mrs. Bollywood Pageants on a bigger and more glamorous platform with thirty five contestants from all over the United States. This year’s competition was very tough with the beautiful, talented and intelligent contestants making the judges’ job very difficult! Judging panel included international artist Grady Long, acclaimed lawyer from NYC Seema Singh, Realtor Shaneel Mitha, business entrepreneur Amit Rai and Miss Houston 2014 Courtney Mae. The show started with a performance by international artist, Grady Long, who sang the song “Pee Loon” and mesmerized the audience! This was followed by the Round 1 Introduction Round where all the contestants dressed in elegant formal wear gowns were introduced. Then came the talent round for the Teens who displayed their talent beautifully from dancing, playing the flute to art. Dan Nainan entertained the crowd with this Indo-American Malayali comedy and brought the house down! The contestants dressed in clothing and jewelry by String & Thread and Palkhi sarees and jewelry by Stylings of Alina and Highness Collection were presented next in a spectacular fashion show choreographed by Raza Hasan. The final 5 in each category were then chosen and each got a question from a judge. And then came the crowning moment when the winners were announced! In addition to running a very successful Bollywood dance school and hosting their own radio show (Bollywood Shake Radio Monday-Friday 4-7pm on 106.1 FM and 102.1 FM HD3), Bollywood Shake has always promoted local talent through its events! 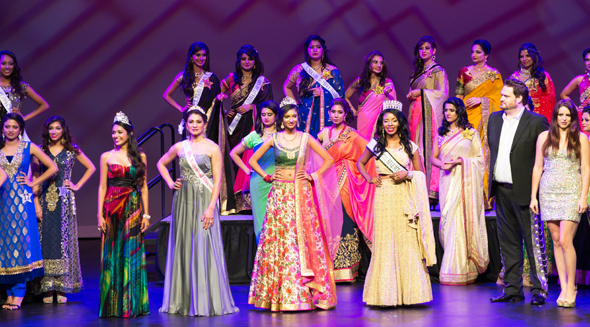 From Bollywood Pageants to fashion shows to dance competitions, Bollywood Shake has always given a platform to locals from Houston and surrounding areas to showcase their talent! And this event was no different! Ruchika Dias and her team successfully organized another event in Houston! Bollywood Shake would like to thank all the volunteers and people who came out to cheer the contestants! Congratulations to this year’s winners!